Kaysville, Utah – May 31, 2012 – Monnit Corporation (www.monnit.com) today announced the release of a new quad band GSM/GPRS cellular gateway for use with their wireless sensors. Monnit Corporation manufactures and provides wireless sensors, gateways and back-end monitoring software targeting broad lines of commercial, industrial and M2M applications. The launch addresses the large demand for monitoring remote locations where existing internet connections are not possible. “The demand for cellular capability with wireless sensors is overwhelming. This new gateway provides a robust cellular link to a wide variety of application uses for our wireless sensors.” said Brad Walters, Founder and CEO of Monnit. 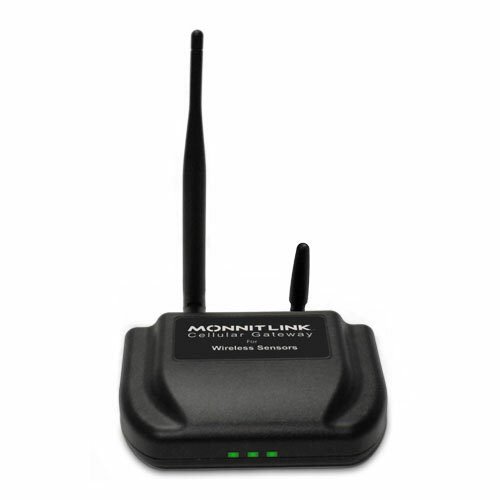 The MonnitLink cellular gateway works with all Monnit wireless sensors, which were designed to detect and monitor functions that are critical to business or personal life, including; temperature, humidity, water, light, access, movement and much more. Monnit’s wireless gateways transmit data between local sensor networks and the iMonnit online monitoring and notification system. The iMonnit online software allows for user customization and notification of events via email or text message. All Monnit wireless sensors include free basic iMonnit online sensor monitoring with SMS text and email alerting. The new cellular gateway requires a data plan, also available from Monnit and is available through www.monnit.com as well as a completely brandable version available through www.oemsensors.com . 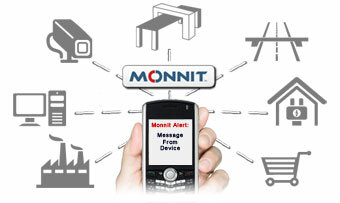 For more information on Monnit sensors, gateways and monitoring call (801) 561-5555 or visit www.monnit.com. Getting rid of a bed bug infestation is not an easy task. Most cases of bed bug infestation are treated using pesticides by a pest-control expert, however resistance to pesticides has increased significantly over time and there are concerns of negative health effects from their use. Mechanical approaches such as heat treatment have been recommended. The thermal remediation process for removing bed bugs, is to bring the temperature of a room up to 120°F for 2 hours. In order for this process to be effective it is important that every area maintains the required temperature for the given amount of time. So, how do you know that those little nooks and crannies are reaching the right temperature? We recommend using Monnit’s affordable wireless temperature sensors to monitor temperatures throughout the treatment area. There are no wires to worry about, and the setup process is amazingly simple. 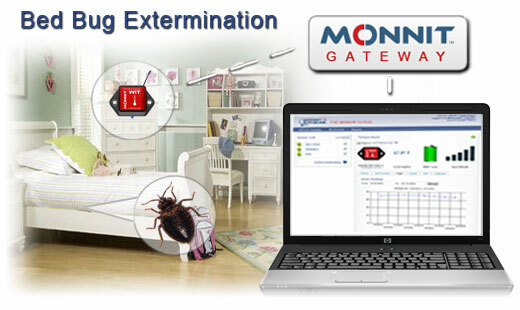 We have many exterminators using our temp sensors for this application, so should you! Be sure to visit Monnit in Booth 202 at Sensors Expo & Conference June 6-7, 2012 in Rosemont, IL. Executives will be on hand to answer questions and show you how easy it is to get started with a complete wireless sensor solution. To schedule a meeting with us at the show, please email info@monnit.com. For more information on the show or to register, please visit www.sensorsmag.com/sensors-expo. The IEEE 802.15.4 IC market, often referred to as wireless sensor networks (WSN), will expand to over 850 million units per annum by 2016, experiencing a compound annual growth rate of over 60% from 2010 to 2016. Wireless networks have made it far easier for M2M communication to take place and have lessened the amount of power and time necessary for information to be communicated between machines. Monnit wireless solutions allow for an array of new business opportunities and connections between machines and people. Monnit provides low-cost wireless sensors that can improve production and efficiency in various areas. For example, adding Monnit wireless sensors to a production machine, makes it smart enough to let maintenance know when it needs maintenance and what needs to be repaired. This type of information helps streamline production and keeps machines working at highest efficiency. Using Monnit wireless sensors to monitor facility systems can provide cost savings in areas like heating and ventilation, area access, light and power management. Reduce Costs and Maintain Efficiency with Monnit Wireless Sensor Solutions. Setting Up Notifications in the iMonnit Online Wireless Sensor Software. We have made some recent enhancements to the sensor notification setup process within the iMonnit online software. The following tech tip will help you understand the changes and learn how to setup notifications for your wireless sensors. Note: If you recently had “inactivity alerts” set for sensors on your network, the new changes require that you set a user to receive all inactivity notifications. Automated notifications can be set up to alert you via SMS text or email if a wireless sensor meets a set threshold or condition. To create a new notification or view/edit/delete an existing notification, click on the “Notifications” link in the main menu area of the site. Come Visit Monnit at International CTIA Wireless 2012 in New Orleans! Be sure to visit Monnit in Booth 4156 at International CTIA WIRELESS® 2012, May 8-10, 2012, New Orleans, Lousiana. Monnit’s provides an extensive line of wireless sensors, gateways and software for commercial, industrial and OEM applications. For more information on the show or to register, please visit www.ctiawireless.com.